Aaron Hill play of the day! Michael Cuddyer is 3 for 4 with a home run and double against Minor, and the right fielder is 5 for 12 with four RBIs in his last three games. Nolan Arenado has homered in the first two games of this series and is 9 for 23 (.391) over his last six. Ben Zobrist had three hits with two RBIs on Tuesday and is batting .381 in his last 10 games. 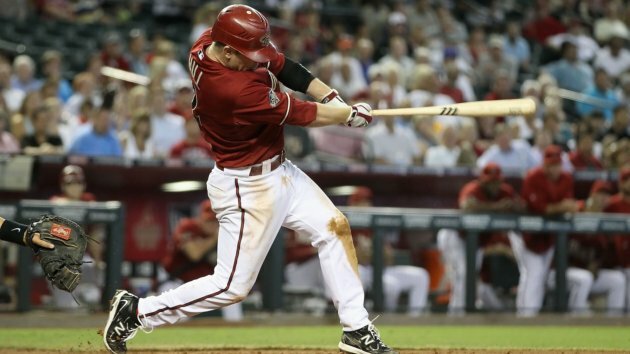 Aaron Hill is batting .432 (19 for 44) with four homers in his last 12 interleague games. Josh Hamilton is 4 for 9 with six RBIs in the series and 13 for 26 in his last six against his old club. Nelson Cruz is 9 for 15 with three homers and nine RBIs VS Williams. Billy Butler is hitting .425 against Twins pitching this season. Hanley Ramirez is batting .375 with 10 RBIs during his 11-game hitting streak. He's 7 for 21 with two doubles against Kuroda.